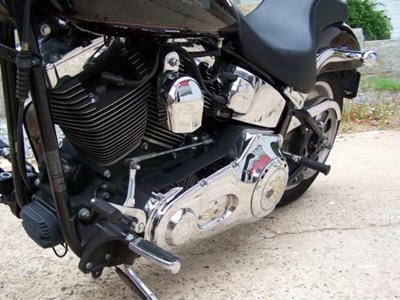 Thanks for checking out the 2005 Harley Davidson Deuce for Sale. The 2005 HD Deuce is a beautiful bike that cranks, runs, shifts, rides as it should with no issues; it's in great condition. The motorcycle's paint color is a very attractive (and popular with bikers) Black Cherry Pearl and Grey. The Deuce currently has just over 16,000 miles on it. It has been recently taken in for service at my Harley dealership serviced and needs absolutely nothing. The motorcycle's tire are great with lots of tread, the fuel injection system works like a charm. Basically this is a very nice Deuce that you can be proud to own and that will give the new owner many miles and hours of riding time. 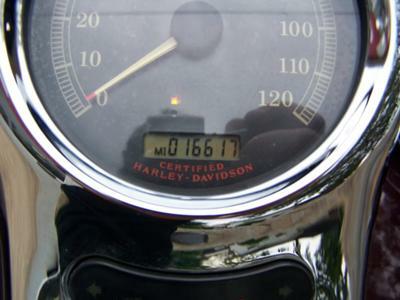 The Harley Davidson motorcycle company discontinued this model in 2008 making them rare and more difficult to find, especially with super low mileage like this one. To request additional high-resolution pictures of the 2005 Harley Deuce or to request more information please contact me using the space below that has been provided by Strike Lightning Used Motorcycles for Sale (and PLEASE do not neglect to include your contact information in your email or to provide a phone number or email address!) so that I can respond with answers to your questions or after consideration of your best offer as quickly as possible. You won't find a nicer Harley Deuce like this one for sale in Georgia, on Craigslist or in an Ebay auction so hurry and make an offer before it gets away from you! Strike Lightning would also encourage bikers to submit a review of the 2005 Harley Davidson Deuce for Sale to make the biker community aware of any problems that are commonly associated with the 2008 model or to highlight its positive features and help potential buyers make informed decisions. 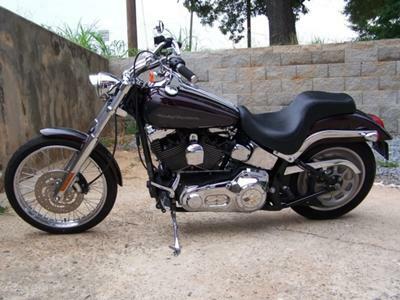 Financing for purchase of the 2005 Harley Deuce is available for qualified buyers. 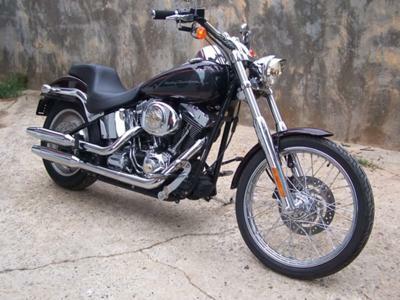 I'm asking $10,600 but I will consider other late model motorcycle trades or trades for select firearms; ex. Glock or AR.